A.C. Bhaktivedanta Swami Prabhupada, founder Acarya of the International Society for Krishna Consciousness was born in 1896, in Calcutta, India. His father Gour Mohan De and mother Rajani De raised him lovingly as a devotee of Lord Krishna. At the age of 26 he met his spiritual master; Srila Bhaktisiddhanta Saraswati Goswami who solidified the spiritual culture he had imbibed from his parents and instructed him to spread it in the English speaking world. 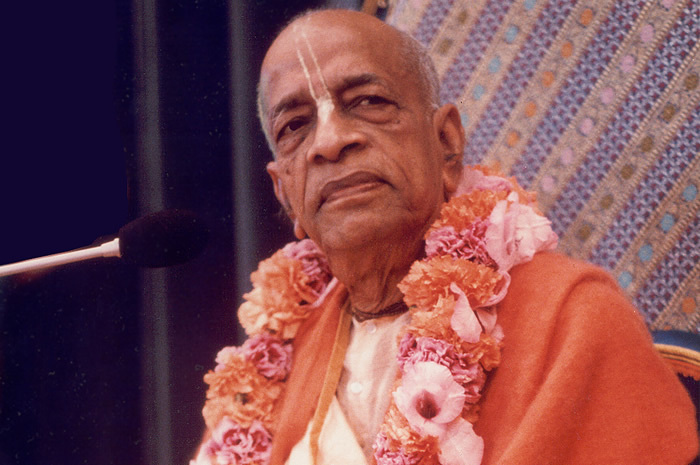 So it was that after a lifetime of preparation at the age of 70 Srila Prabhupada travelled to America to establish the International Society for Krishna Consciousness. Between 1966 and 1977 he performed extraordinary feats as a pure representative of the Supreme Personality of Godhead Lord Krsna, in spreading Krsna Consciousness worldwide.